For your next trip to Playa Del Carmen, with the cars and trucks of America Car Rental, you can drive, explore and enjoy this paradisiacal destination in the Riviera Maya and its beautiful surroundings. From the iconic Fifth Avenue downtown, located a few steps from the white beaches of the Caribbean Sea, to the theme parks of the area, or to visit Playa del Carmen to visit a client or attend an event. When renting a car with America Car Rental, you will be able to drive and move freely along the Riviera Maya regardless of the time, with total safety and comfort, and without the need of waiting for the scarce public transportation or for someone to pick you up. 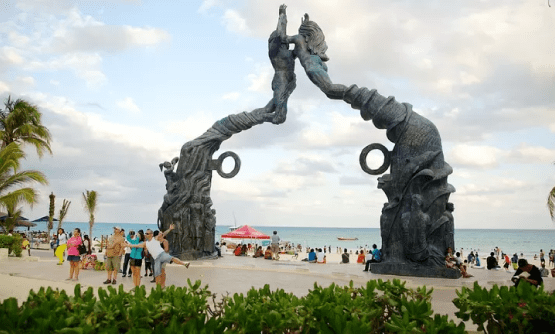 WHAT TO DO AT PLAYA DEL CARMEN? Beautiful beaches bathed by the Caribbean Sea. Stroll through the famous and busy Fifth Avenue. Go out at night and enjoy the lively nightlife, either on Fifth Avenue or 12th Street. Know the Archaeological Zones of Tulum and Cobá. Spend the day in Cozumel to dive or snorkel. Explore the theme parks such as Xcaret, Xel-Ha, Xplor and Xenses. Swim or snorkel in the Yal-Kú Lagoon. Refresh in one of the nearby cenotes such as Chaak Tun, Cenote Azul, Cenote Cristalino, Jardín del Edén and Xcacelito. Do parasailing on the beach. Take a tour (horseback riding, abseiling, quad biking). Mamitas (in the heart of Playa del Carmen). Punta Maroma (15 km from Playa Del Carmen). Akumal (35 km from Playa Del Carmen). Xpu-Há (25 km from Playa Del Carmen). Chemuyil (45 km from Playa Del Carmen). Sian Ka'an (100 km from Playa Del Carmen). Pick up the car upon arrival at the Cancun airport since Playa del Carmen does not have an airport. 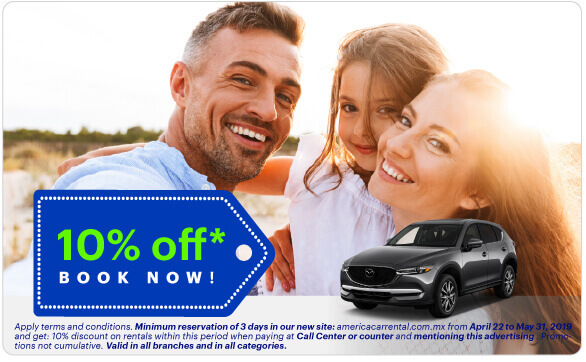 America Car Rental offers the best car rental experience in Playa Del Carmen during your next business trip or vacation to this area of Southeast Mexico. Let us help you and offer you a fast and efficient service at our America Car Rental Playa Del Carmen branch. 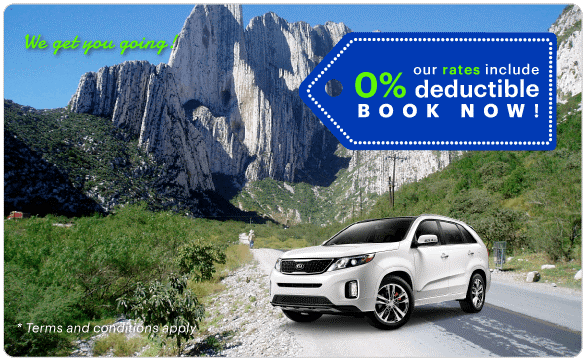 It is VERY Easy to rent a car or van in Playa Del Carmen! We have the perfect ones for you!